The Conservatives' behaviour in Strasbourg this week reveals just how damaging a Tory Brexit is shaping up to be, writes Labour's Richard Corbett MEP. This week was a significant one in the European Parliament, as it voted in new laws and backed measures that will strengthen workers’ rights, protect trade and jobs and safeguard the environment. The Tories were prominent in these debates – and not for the right reasons. Unlike the UK government, the EU is actually taking action to tackle key issues people care about – highlighting how the EU can be used to address concerns and enact progressive policies. Shamefully though, the Tories have sought to water down and outright block many of these progressive measures in the European Parliament this week. Here is the Tories’ Strasbourg roll-call of shame – just from this week. MEPs approved new EU laws on the posting of workers that brings in the principle of equal pay for equal work in the same place. This will help to address concerns about the exploitation of migrant workers and undercutting of local workers. There are more than two million posted workers around Europe, many in construction, agriculture and transport logistics, where exploitation is rife. In the UK, the revision of the Posted Workers Directive is particularly important for the construction sector, as the legislation will allow the universal application of the ‘Blue Book’ NAECI national agreement for the first time. The Tory government did not back the proposals in Council – and Tory MEPs voted against these positive reforms. Following a petition by EU citizens, including British McDonald’s workers, the European Parliament voted for a resolution requesting the Commission takes firm action to tackle precarious employment, including the use of exploitative fixed-term contracts. Over the last few years we have seen a huge increase in the number of companies employing people on zero-hour contracts. Companies like McDonalds are putting employees on contracts without maternity leave, paid holiday or redundancy. MEPs voted to strengthen the EU’s trade defence measures to protect EU industries from unfair trade practices, like the dumping of cheap Chinese steel onto the market. These new measures will help Britain’s steel industry and save steelworkers’ jobs by putting the brakes on the glut of cheap, subsidised imports from countries like China that have distorted the market. For the first time, social and environmental factors will be taken into account when determining if an unfair trade practice has occurred. The Tory government voted against strengthening trade defence measures in Council – and Tory MEPs voted against the new laws. 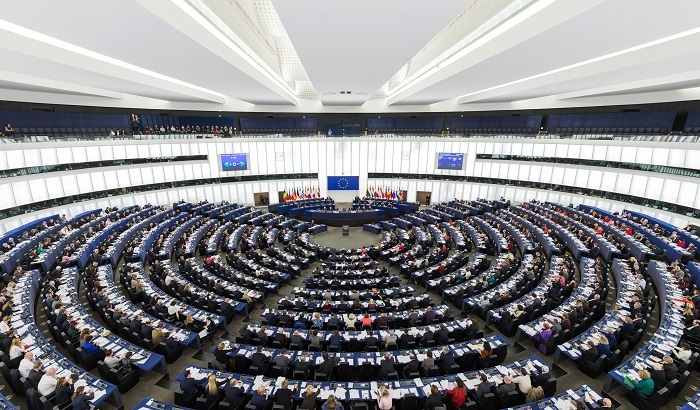 The European Parliament this week urged the Commission not to back down from taking action against the US in response to tariffs on steel and aluminium imports imposed by the Trump administration. The ‘national security’ grounds for imposing these tariffs have no basis in law and should be challenged in the WTO. They are a flagrant breach of the rules and are being used to try and bully the EU, and others who face tariffs, into accepting the US’s terms of trade, and will cause huge damage. Yet Tory MEPs seem closer to Donald Trump than British steelworkers, saying Britain and the EU should not defend ourselves against the tariffs. As the EU continues to move in a more progressive direction, in the UK we risk going backwards under a hard Tory Brexit with fewer jobs, reduced rights and lower standards. This is not what people voted for – and is not in the interests of Britain or the rest of the EU. Which is why we must and will continue to hold the government to account – in the European Parliament and outside it -and fight this damaging and disastrous Tory Brexit. Richard Corbett MEP is Labour’s leader in the European Parliament.